We are in love with this charming shabby chic décor. Let’s take a look, shall we? This white chair is absolutely gorgeous. It has beautifully detailed woodwork, and it looks fabulous on the painted hardwoods. 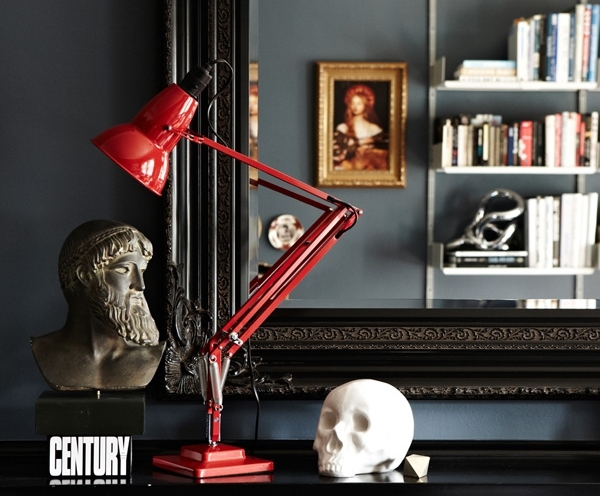 The detailing on the wall is positively perfect, adding even more interest to the décor. In the living room a worn tufted sofa occupies the space. A fantastic accent pillow and a white lace throw, bring an additional dose of character to the room, and two chairs, one with two white pillows, accompany the sofa. 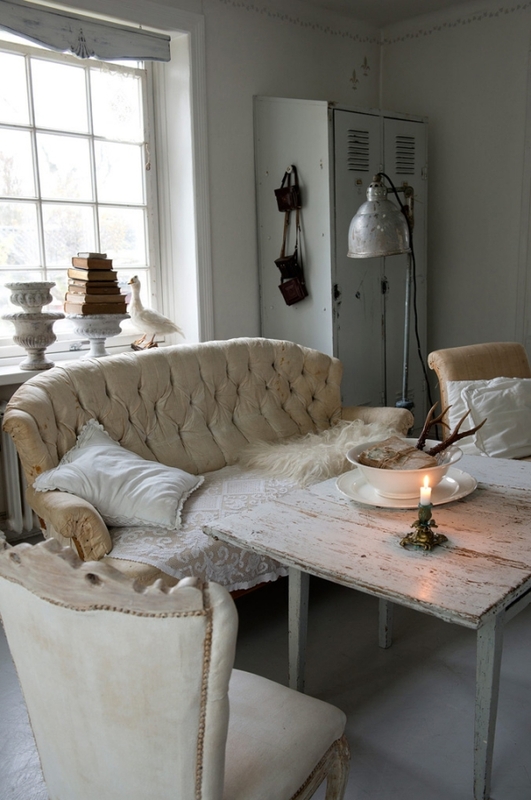 The distressed white table is stunning, continuing the theme of this shabby chic décor. The ornate chandelier and the fur are delightful touches, bringing a bit of glamour to the space. A large window provides a significant amount of natural light. The lockers and the lighting bring a bit of an industrial look to this outstanding living room. 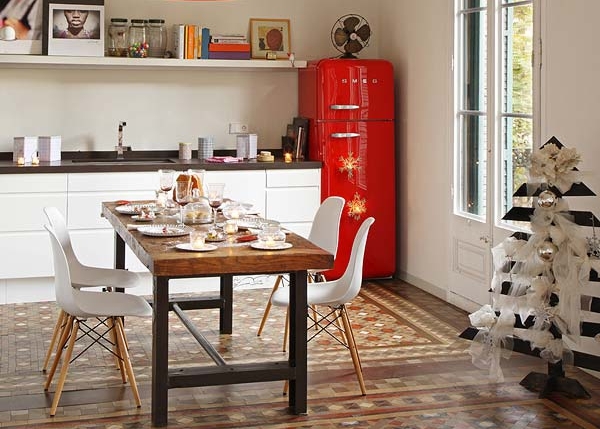 We adore the kitchen in this home. 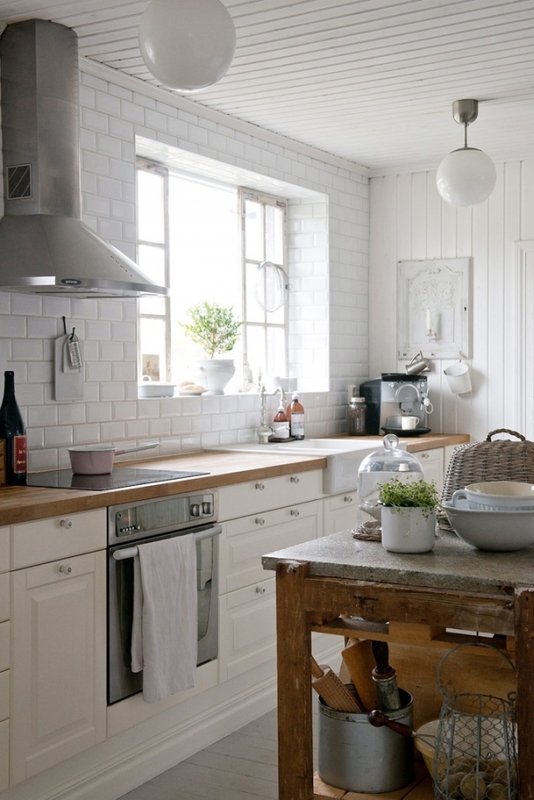 Painted wooden walls and a painted wooden ceiling are complemented with white subway tile. White cabinets provide storage, and an awesome wooden island with a striking gray countertop sits in the middle of the space. A large window, above the farmhouse sink, brightens the room, and potted plants bring a little color to the design. The fixtures in this room are beautiful, adding an elegant feel. The chaise lounge brings warmth to the white design, and a pink blanket adds color. The color palette is continued with a white blanket and white pillows, fashioning the coziest chaise lounge we’ve ever seen. The curtains, the divider, and the decorations in this room, are lovely, adding a good amount of interest to the design. We are particularly fond of the worn bust and vase. 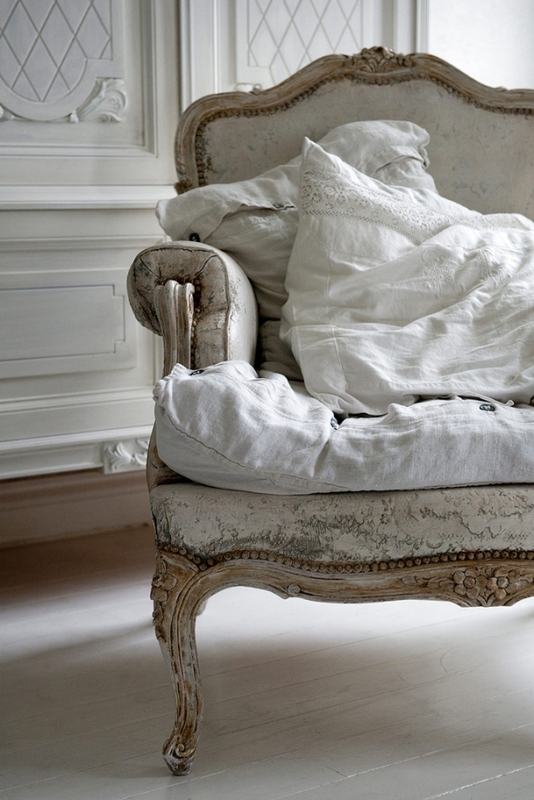 Are you a fan of the shabby chic look?